The start of this season we haven’t been blessed with snow compared to other seasons. This season does remind me of the poor start of the 2000/01 season which is why I have chosen to live in Tignes in a high altitude resort in the Espace Killy, France. In the Espace Killy we are fortunate and we have the accessibility of two glaciers the Grand Motte 3456m and Glaciers Du Pissaillas 3347m which makes teaching possible early season and in the summer months. Having a summer off it has been great to get back to Ski Teaching and to kick off my ski lessons with a flying start!! 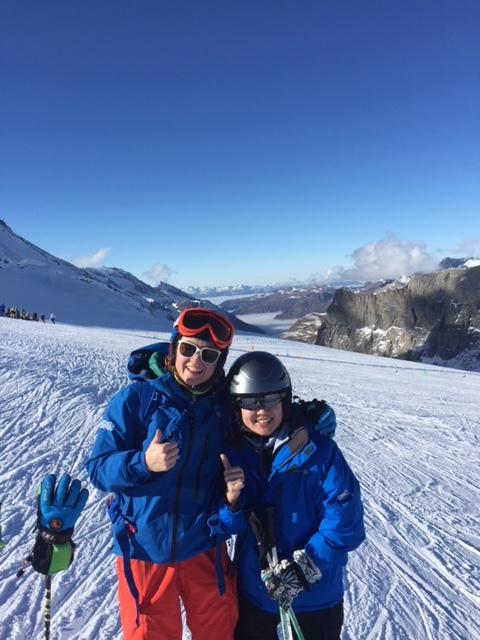 !My first ski lesson was with Jill from Singapore who did extremely well making her first ever turns on the Grand Motte glacier and then skiing in control down to the Vanoise chairlift. Once I straighted a few technical hitches Jill was skiing with more confidence and control. 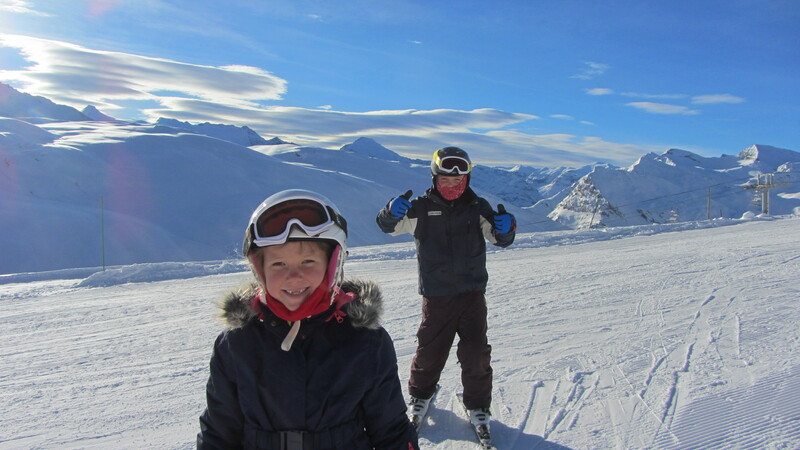 Then a quick drive over to Val D’Isere to teach some great kids Charlie 9yrs and Millie 7yrs their first turns and after a two hour lesson they were making turns on the green run. Amazing quick progression with good foot steering skills. I wish I was that good when I was their age. For two afternoons on the Tignes glacier I have been teaching Tanya who is an intermediate skier but finding it hard work and exhausting!! !A change of stance, posture and turn shape then she was skiing so much better and with ease using much less energy. Great skills!!! So all in all great people and a great start to my ski teaching season 2014/15. I am on a teaching high despite the difficult conditions. I wander what next week will bring? 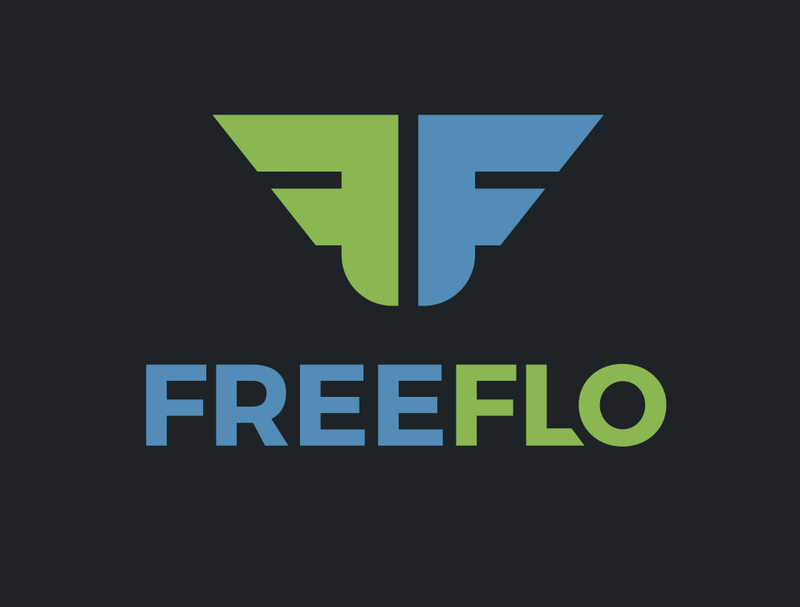 I plan for more successes and more fun doing the job that I love and being on top of the world.